As a preparative measure for the coming internet based society we look to create a structure that allows commercial transactions online. Through this activity we seek to gather a great number people to Sumida ward contributing to its development and community revitalization. Endeavoring for the online structure`s recognition as Japan`s first online shopping street. A door-to-door selling for the new era. To run local based traditional businesses on a digital platform, the internet. A voluntary organization dedicated to the joint management of an online shopping street by companies and individuals who run businesses or companies in Sumida ward. 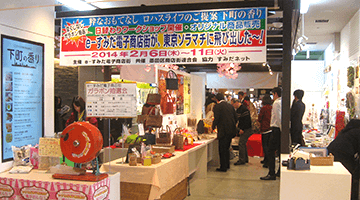 A member shopping street of Sumida ward`s Shopping Streets Association. Individuals or businesses that manage a store or company in Sumida ward. Located across Sumida ward. Varied business types and sectors. 【Food】Rice, liquors, doll cakes, senbeis, ready to eat meals, bentos. 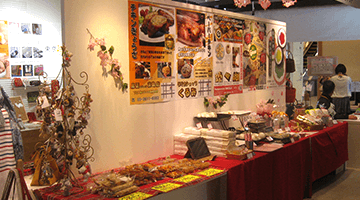 【Food service】Yakitoris, Chanko hot pots, catering, liquor stores, ramens. Founding of e- Sumida Digital Shopping Street`s previous organization, e-Sumida 2000. Website goes online. Participation in events held in Sumida ward (Sumida Matsuri, Kinshi-cho Kounai Ondo, Ryogoku Nigiwai Matsuri and more). Supporting organization for movie Hospitalité filmed in Sumida Film Studios. Appearance of several member stores. Participation in Sumida Machidotoro held at Tokyo Solamachi 5th Floor 6th (Thu) - 11th (Tue) Feb.
Cruises and town walking campaigns and tours 10th Sept. - 15th Oct., 15th Nov.
2017-2019 © e-Sumida Digital Shopping Street All Right Reserved.